Help Warwick Racing build one of the first UK Electric Cars to compete at Silverstone in 2018! Warwick Racing are a student run racing team who design and build single seat race cars for participation at international competitions. In the past we have competed not only at the UK competitions, where we achieved 3rd Overall with 2nd in Design for Class 2 last year, but have traveled to Germany and even as far as Australia! Abroad, we competed against teams from all over the world and reached an international audience. 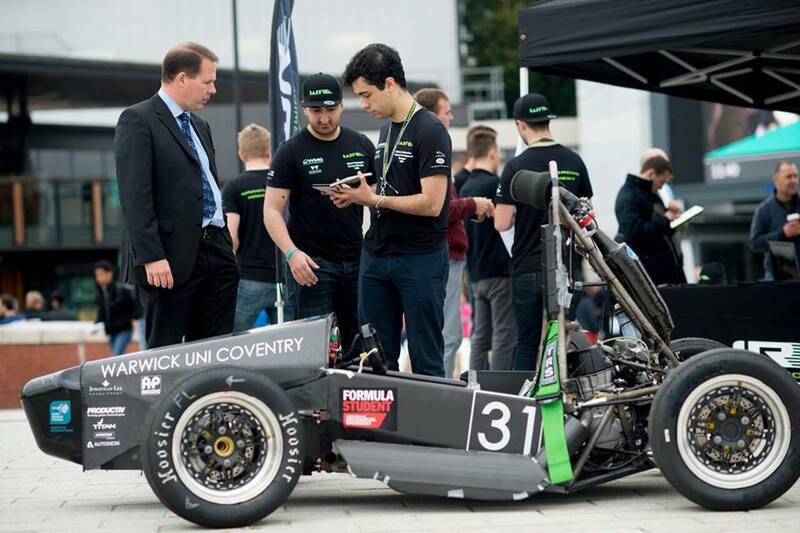 The role of developing a car to compete in Formula Student has now become available to all Warwick students, allowing students of all degree streams and all years to take part. As a result of this our team has grown to more than 600 members, allowing them all to get involved in the design, manufacture and testing our vehicles. Our newly founded business team has a big attraction and has introduced marketing, sponsorship and finance roles to the team which have helped hugely in our rapid expansion. Elon Musk, one of the greatest modern inventors, is talking about the need for electric cars to create a clean viable environment. The technologies and products of tomorrow will be designed to be green, eco-friendly and sustainable. This is clear to see in the automotive industry with nearly every car manufacturer designing and creating new electric vehicles. The rise of Formula E and the phasing out of IC car production in countries such as China, France and the UK another clear indictor of this trend. But it all starts from the roots, Warwick Racing are aiming to be the first ever UK University to design, manufacture and race an electric car at the Formula Student UK competition that completes all Dynamic events. Educating the next generation of engineers in electric vehicle technology and giving them the platform to innovate and create new technologies for the future. We all know the future is electric. With your help we can create a more sustainable, greener and cleaner future. Warwick Racing are raising £10,000 to help fund the first UK electric car to complete all dynamics events at this years Formula Student competition at Silverstone. 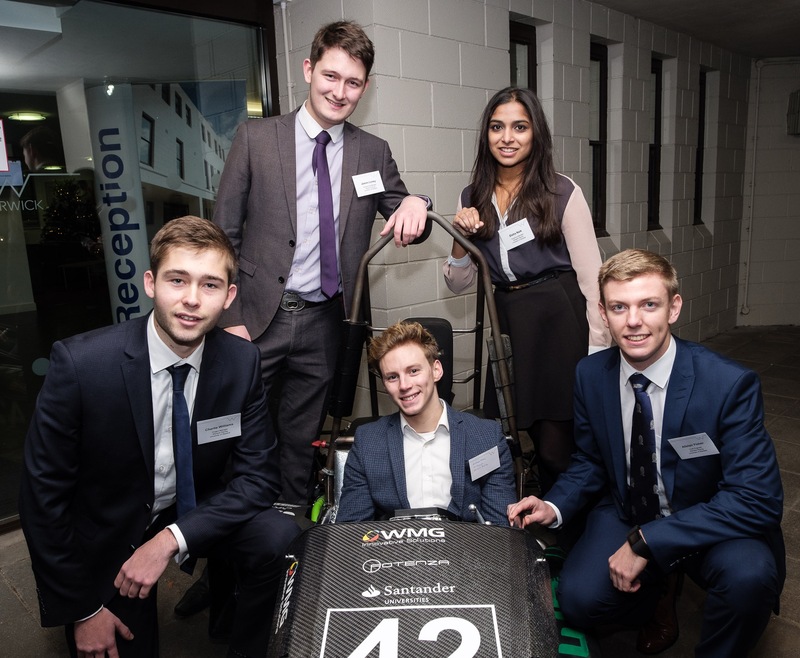 Warwick Racing are a student run race team who design and build a single seat race car for participation at international competitions. The money we raise will assist us in purchasing a set of batteries to run our electric car, but will also go towards putting on educational events for our students such as practical workshops, inviting external speakers and running networking events. Electric powertrain: The main electronic components are costly with the batteries alone costing almost £10000, along with the low voltage power controller. Testing: In order to ensure that all the electrical components are working safely we need a more sophisticated data acquisition to monitor them. Competition: For the team to go competition we need to afford camping, food and transport for the entire weekend. Your donations will not only help our team to build the car but also help develop the next generation of innovators and creators! With every donation you have the chance to get some exclusive content as a thank you! Whatever you give we want to say thank you in some way so please check out the rewards and see what you can get for helping us out! You might even get a special mention in our fortnightly newsletter or be lucky enough to come and see us on one of our test days. Check them out for more details. We will keep you updated on where/when the race will take place. We hope to see you all there! Note: Some rewards require a small additional charge for shipping fees. Or take a look at our social media accounts to keep right up to date with all the amazing engineering we're doing! Even if you can't donate us money towards the project you can help by spreading the word! Please share the project on social media, email or even just when you're having a chat with someone! We think this is going to be an amazing project and that we can achieve something special, and the more people that know about it the better. And we know we said you don't need to give money to help us, but we'd love it if you did! Please sponsor us and help make this happen. NEWSLETTER MENTION- Your name will to put onto a special section of our newsletter to say thank you for your generous donation. DRAWSTRING BAG- A Warwick Racing drawstring bag, with the WR logo on. CAR PHOTO- A special picture of the car with signatures from the team as a thank you! WORKSHOP VISIT- An opportunity to come see our workshop and to meet the team. TEST DAY VISIT- Come and see the car running at one of our test days!